Break down the process of career exploration into small, manageable pieces and make progress as part of a community by bringing linguistic ways of listening to stories and what they do in career contexts. Career Camp is five weeks of focused activities and structured feedback on the stories used in career interactions. Weekly activities focus on bringing a linguistic lens to the stories which comprise the texts and interactions surrounding the job search so that you have a resume that blows their SOQs off, cover letters that speak to why THEY need you, and pocket examples that show you @ work! We linguists see solutions to puzzles, we see patterns in chaos, we are not afraid of ambiguity – all of which can (and should) be brought to the challenges which face our world – in short: we need to bring linguistics to work! You chose linguistics because you were passionate about the possibility and the power of language, so why not creatively seek wide application of these as well as your powerful analytical skills and problem-solving? I have no doubt that the work we did at Career Camp helped me to get some clarity regarding what I wanted to do in this post-teaching phase of my career, and your advice about interviews and cover letter writing was also invaluable. There were a lot of stages in this hiring process (seven stages in total, a combination of work tests and interviews), and I found myself telling plenty of stories in the interviews. Having done much of the groundwork around the campfire, I felt well prepared for the process. Thanks for helping me get to that place! Orientation – why are you here? 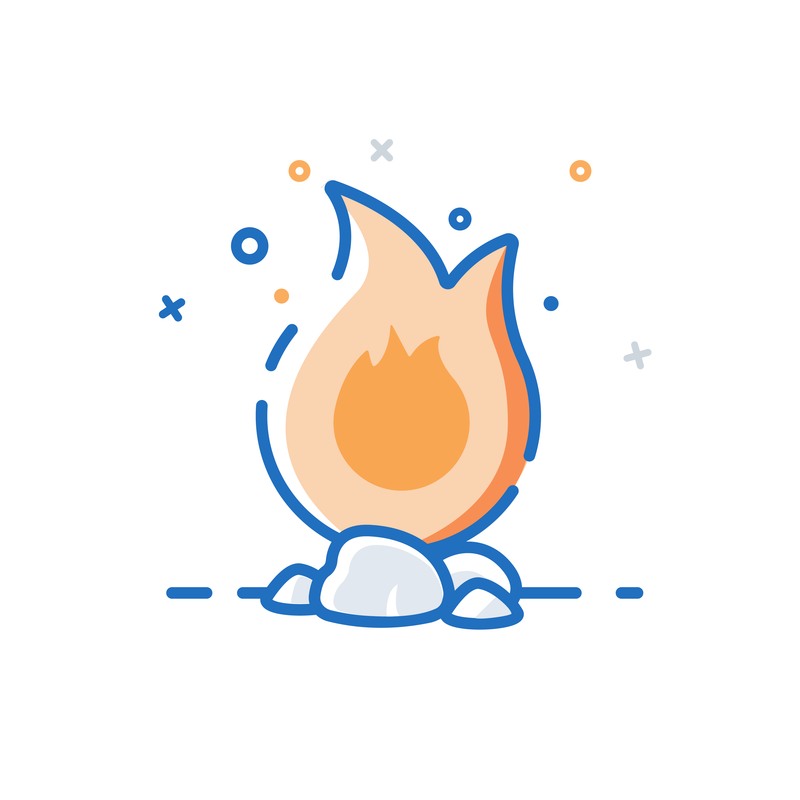 On Fridays, we gather around the campfire to discuss what you have been working on. Each participant gets a chance to share, get, and give feedback and support / share ideas with their fellow campers, and ask questions. Career Camp was designed by Anna Marie Trester, Career Linguist, author of Bringing Linguistics to Work to help hold space for lingusts to explore and educate themselves about careers. By the end of camp, your pack will be filled with all the tools that you will need to get on out and navigate the next steps of your career journey! You will even have done some thinking about your map and met some fellow travelers to help you along the way: Here’s to what’s next.